Waterfall, Baker River, Region XI, Patagonia, Chile. Waterfall, Baker River Photos, Region XI, Patagonia, Chile. 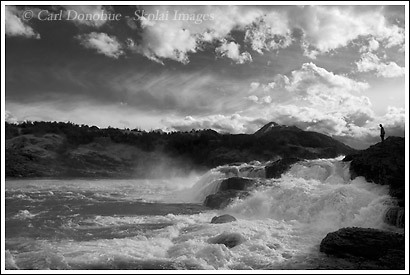 Waterfall and kayaker scouting the Baker River, Region XI, Patagonia, Chile.